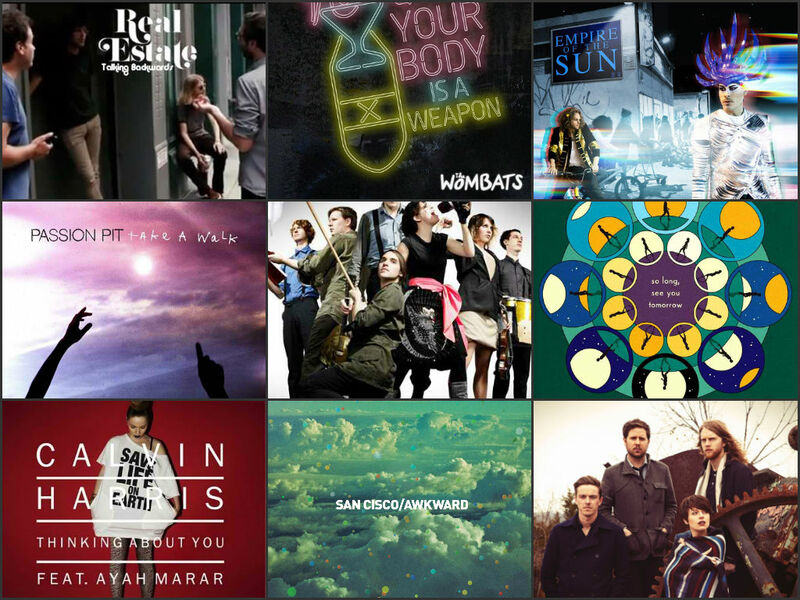 MY PLAYLIST: Top Ten Tracks for February 2014 | THE GOOD . . . THE BAD . . . AND ME. I heard this song after I stumbled upon the band’s other song, It’s Real. Although it was “It’s Real” that got me liking this indie band, it’s Talking Backwards that escalated that “like” into adoration. This song is relaxing and makes me dream of picnics on meadows with tall grass and wildflowers all around, and romping with a guy with the most adorable smile ever. It’s a picture perfect image that is absolutely sigh-worthy. I have an ongoing musical romance with Passion Pit that makes my heart soar every time they have something new out. Frankly, I have this track on my computer’s music folder for almost 3 months now and it’s just this month that I really appreciated it. This is an accidental encounter that was oh-so worth it. I remembered exactly how to accident happened like it was yesterday. I was searching for Ben Howard’s single “The Promise” when I accidentally clicked on this instead of Ben’s song. Lo and behold! I found something to add up to my ever-growing collection of obscure-yet-awesome songs. This track is one of my favorite workout songs. I know, it’s so weird, right. But having an eclectic taste in music compels me to choose different genres in particular activities I’m involved in. It just happens that whenever I’m working out, I need a dance-able beat, except when I’m pissed, then I listen to Papa Roach or Disturbed. They had me at “Rebellion”. Gosh! That was eons ago and I‘m still loving Arcade Fire. They just have this intrinsic pull on me that I can’t shake myself from. Ready To Start just solidifies that pull. According to raves from people who’ve seen this Australian duo on stage, they can truly pack a punch in their performances. And I missed it! I swear I’m going to see them live before I die! You can’t get more indie rock than The Wombats. I mean, I fell in love when I heard their 2006 album, (Girls, Boys and Marsupials) and my heart will go on (Oh no! Did I just use a bad reference there?) for this band. My latest love is this single. Find out why. . . If ever there’s a song that has a strong declaration of love, it’s Live’s “I Alone”. Apart from my other favorite (Lightning Crashes) from this band, this song has truly made it’s mark on me. It’s one of those songs that you know is a “love song” and even if you’re not into that whole love sh*t, you’ll like it because it’s simply badass. And a true testament to a band/artist’s talent is sounding better live than in the studio album version. Kudos to Ed Kowalczyk’s soul-rendering vocals. Okay, it’s official. I am totally in love with Kate Tucker and The Sons of Sweden. It started with “Looking Around” and I just can’t stop myself from consuming more from this band. I first heard this song last December, but I wasn’t into it yet. Maybe it wasn’t the right time yet or because I‘ve been purging myself with some other tracks before I can fully appreciate this. I’ve always liked Bombay Bicycle Club the moment I heard their single, Magnet, back in 2009. Since then, I’ve always had an ear to the ground for something new from this band. The latest is this track. It’s lighthearted and makes me really think “It’s Alright Now“. There you go. . .
Once again, I would like to remind y’all that this list is in no way connected to any known or unknown countdown charts.